A Virginia school resource officer has been identified as an active member of the white nationalist group Identity Evropa. In fact, it appears he was in charge of guiding new recruits through the application process. According to the Huffington Post, Daniel Morley, a 31-year-old cop working at L.C. Bird High School, was identified by anti-fascist activists, also known as antifa, who pored over Identity Evropa’s leaked group chat logs. The data was published by independent media organization Unicorn Riot. Antifa reached out to the Richmond Times-Dispatch last week to tip the paper about Morley’s affiliation, reports The Hill. The organization alleged that Morley, who was hired by Bird High School within the last year, has been a neo-Nazi for more than a decade. According to the Daily Beast, Morley had been posting on Identity Evropa’s private chat server since at least 2017, and on Stormfront, another white nationalist platform, since 2009. 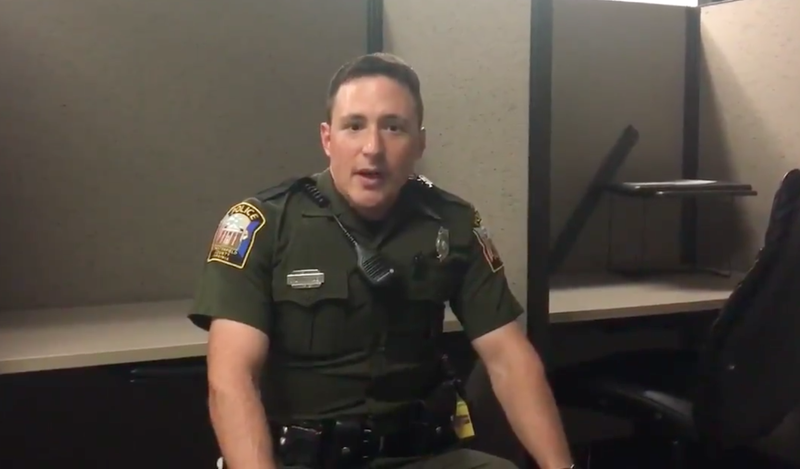 In August 2018, Chesterfield County Police shared a video on Twitter of Officer Morley introducing himself as the new SRO for Bird High School. “I want to ensure that the children of this county have the same safe childhood that I had growing up,” Morley said in the clip. You can hear Morley striking a similarly helpful, professional tone in his welcome message to other white nationalists on the Identity Evropa (which has recently rebranded as the “American Identity Movement”) server. Posting under the moniker “Danimal876,” Morley appears to have a long and storied history of posting on multiple racist and white nationalist platforms. Bird High school, where Morley was charged with keeping kids safe, is a majority minority school, with black students making up 38 percent of the student body. Latinx students comprise 16 percent, while white students are 39 percent of the school’s total student population, according to U.S. News and World Report. The presence of police in schools with large black populations is concerning enough, particularly as data shows black students consistently face higher rates of suspension, expulsion and arrest than their white peers. Even when police don’t openly identify as white nationalists, a fundamental and disturbing racial inequity persists in our schools. The Times-Dispatch reported Monday that Morley has been suspended from his duties at the high school; Chesterfield County Police have also recommended Morley be fired.